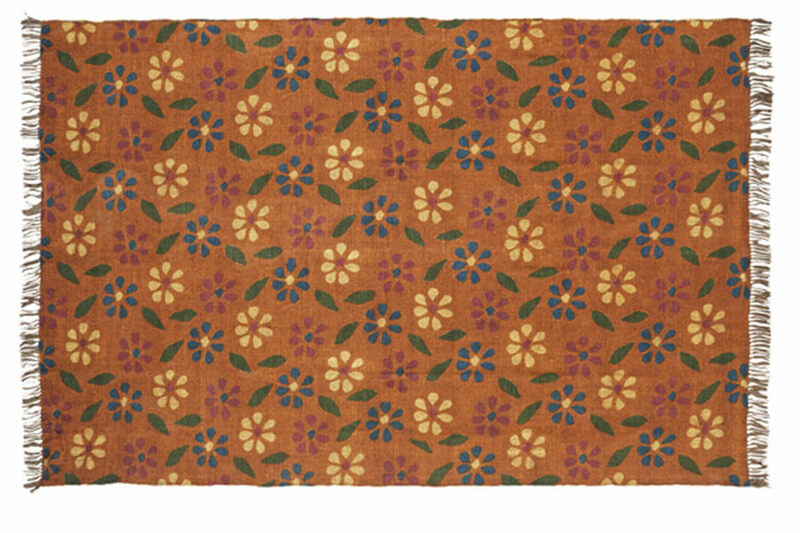 The Somerville Kilim Rug Printed 36x60 features a farmhouse light yellow, cornflower blue, and warm red blooms on ginger ground base. The ancient process of tapestry weave provides a timelessness yet striking design at the same time. Tassels on both ends complete the look.